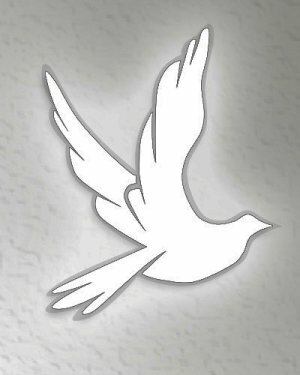 Obituary for Lucretia Simpson | Q A Cantrell Funeral Services LLC. Lucretia Simpson was born June 27, 1963 to Albert Simpson, Jr. and Mary Ann Simpson in Detroit, Michigan. She was the oldest of twelve children. Lucretia was educated through the Detroit Public Schools, where she graduated from Kettering High School. She continued her education at Wayne Community College District, graduating in Early Childhood Education (Special Education). She worked for Detroit Public Schools for over 21 years. She began her career there in 1977as a Bus Attendant and after graduating became a Para Professional inside the classroom until she became ill. Lucretia passion was helping everyone and was ALWAYS available when someone was in need. She was Bossy and knew how to take charge when order was needed. She loved to travel and was always taking pictures. She had so much joy for life and loved being around her family and friends. Her smile and personality always brighten up the room. She accepted Christ at an early age and her faith continued until her last breath. As a teenager, she met and later married the Love of her life Steve Terry. Their Love Story continued for over 40 years. Their ONLY daughter LaSheana Simpson Terry was born to this union. Lucretia went on to be with the Lord on March 28, 2019 with the love of her life at her side. She leaves to cherish loving memories her husband Steve Terry; her daughter LaSheana Simpson Terry; her father, Albert Simpson, Jr.; her mother, Mary Simpson; her mother-in-law Richetta Terry; her siblings, Kim, Albert (Jameela), Devina (Arthur), Mendrate, Alandria (Jared), William (preceded her in death), DeMario, Breanna, Tatyanna, Brandon, Michael, Angela and Leonardo. Her (Paternal) uncle Sammie and Aunt Elsie (preceded her in death) and Mary Simpson. Her Maternal uncles and aunts, Willie, Samuel, Elizabeth, Vickie, Johnny (Martina), Sherry, Bobby, Rosalie (Arthur), James (Tamela) and Shep (Tonetta), Wilson and Estelle (preceded her in death); her 5 great aunts and 1 great uncle; her nieces and nephews, Amber, Angelic, Cameryn, Michayla, Mendrea, Mendrate, Mayah, Deona, Angel, Demetris Jr., Emmanuel, Anayah, Brayden, Aa’leah, Mauvier, Layla, Demario Jr., Lamiya, Amora; one God daughter Jayla Williams and a host of cousins and friends.